Comes in a set of 50 switches. 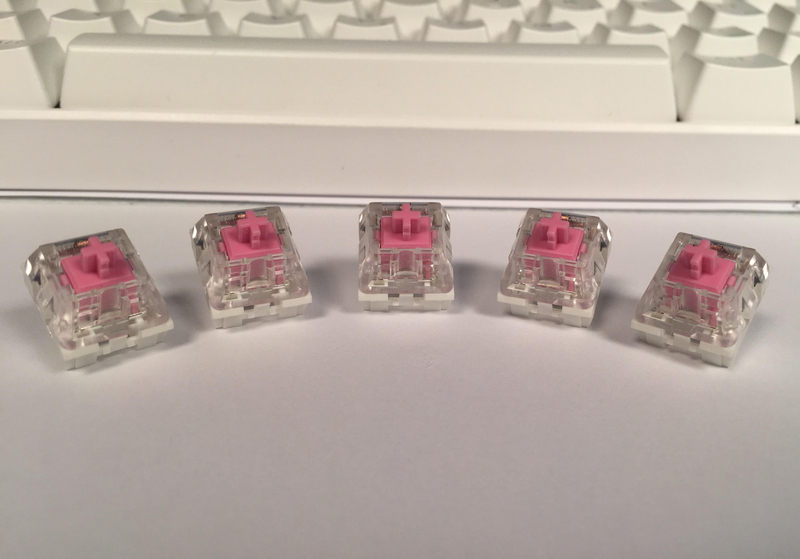 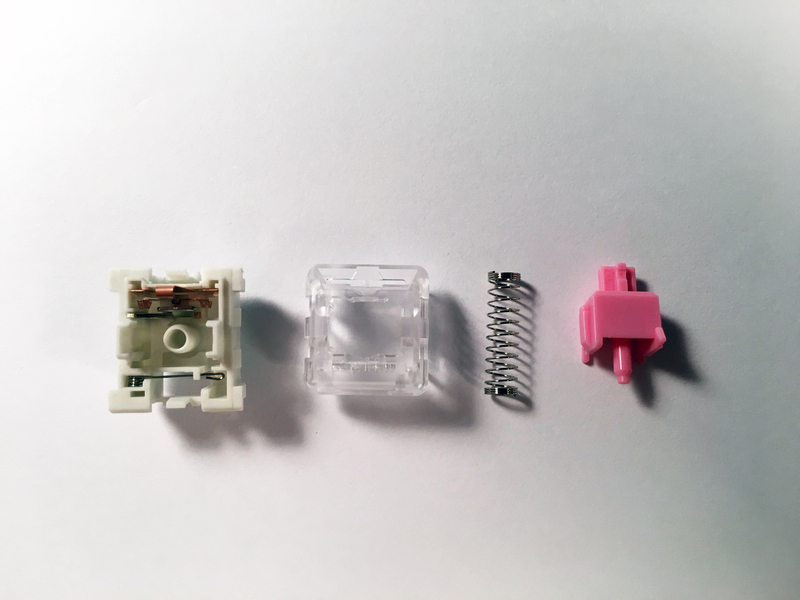 These Kailh Pink Switches are in extremely limited stock. 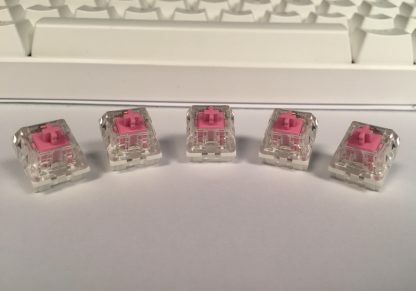 These were accidentally sent to me with along with a shipment of Kailh speed switches and were not meant for sale to the general public. 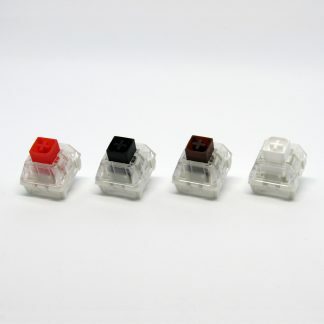 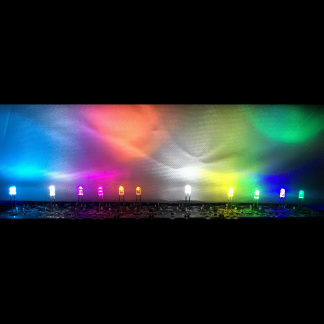 They are functionally similar to Kailh Speed Bronze switches with a click bar mechanism to produce the click sound. 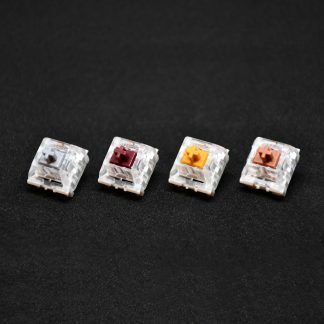 They are functionally similar to Kailh Speed Bronze switches.